Victorian Strawberry Fields offer a range of fresh berries and other produce. 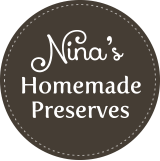 Our products are home grown and bottled on our purpose built premises – the home of Nina’s Homemade Preserves! Come visit us at our farm for our fresh seasonal produce. We are mainly a berry farm and we grow nearly all the berry types, we do also grow stone fruit, cherries, tomatoes, capsicum, chillies, zucchinis, olives and delicious of figs. Our farm is situated in Silvan in the Yarra Valley amongst many farms; next door to the Silvan Reservoir, a nice spot for picnics with lots of wildlife. We also supply a number of local cafes and health shops in the Yarra Valley and Yarra Ranges, and we can do wholesale prices for large orders. We stock our berries and figs both fresh and frozen, we have them available frozen all year round. Plus, we sell direct to the public at discounted prices. Drop by to have a look at our offerings!